Sometimes that perfect dress isn't the perfect size. You don't have to be a professional seamstress to fix this problem. 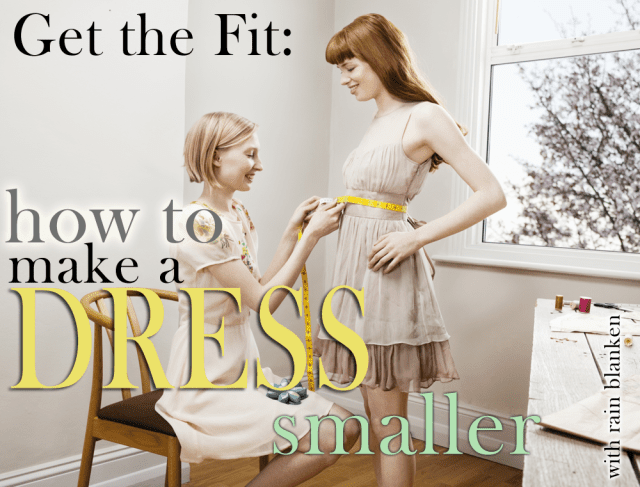 Adjust a dress that is too large with these easy instructions. Gather your supplies, and you're ready to measure to fit. "Taking in" a dress means that you are moving the seam inward from its current position. Measure around your waist and hips. Measure the front and back of the dress at the waist and hips. Subtract the difference of each measurement. This is approximately how much room you need to take in the waist and the hips, respectively. Next, measure the new seam. You will be calculating a quarter of the amount you need to take in. For example, if you need to take two inches, then you would mark ½” from the stitching on each side. Using a small piece of chalk, measure in from the seam and mark where you will be sewing it. Next, sew your new seams. 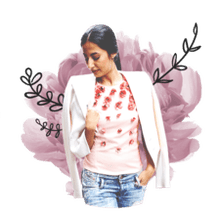 Begin to sew where the side seam crosses another seam, like at the armpit, bust or hips. Sew straight down using a straight stitch. Leave the extra fabric in place as a very large seam. This way, you can let it out if you need to in the future. Finish the raw edges on the seam with a zigzag stitch to prevent the fabric from unraveling. If you have taken the dress in too much, see my instructions for letting out a dress.